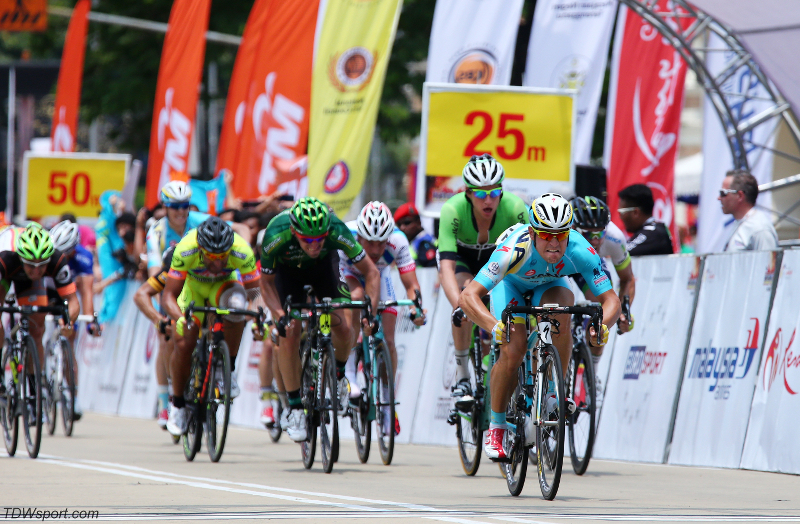 Astana Pro Team's Andrea Guardini won Stage 3 at the Tour de Langkawi working with his team which included Ruslan Tleubayev. 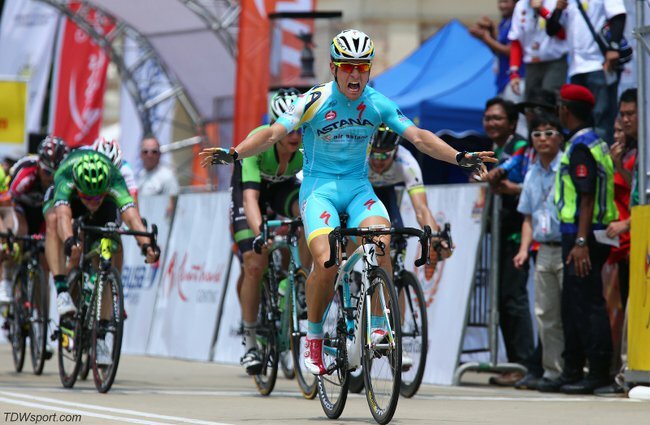 Despite an injured foot, the Italian sprinter launched his attack early and was able to hold his lead for Astana's first stage win in the 2014 season. Guardini currently holds the record for most stage wins at the Tour de Langkawi with over twelve stage victories. 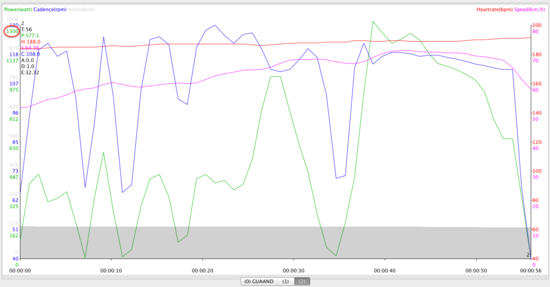 He races at 1.70m with approximately 67kg on the SRM Specialized PowerMeter. 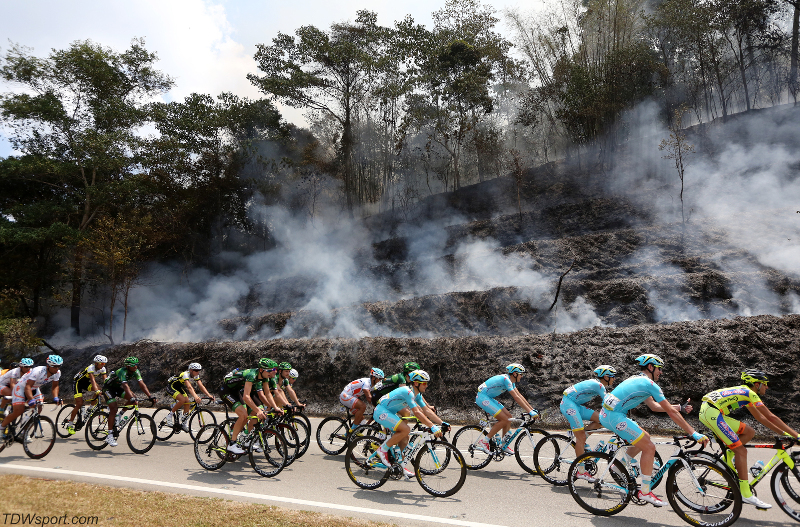 Click on file to enlarge. 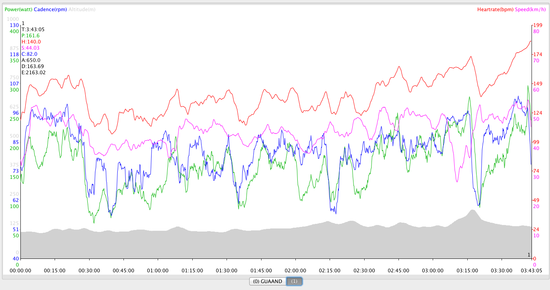 Andrea averaged 162 watts over the 166.5km stage with an 82rpm cadence average on a difficult day with temperatures exceeding 42C (107F). 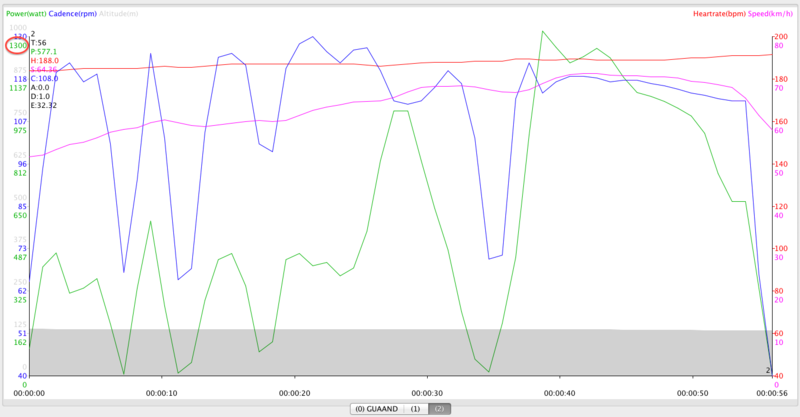 His average speed over the race was 44kph (27mph) and his heart rate average was 140bpm. 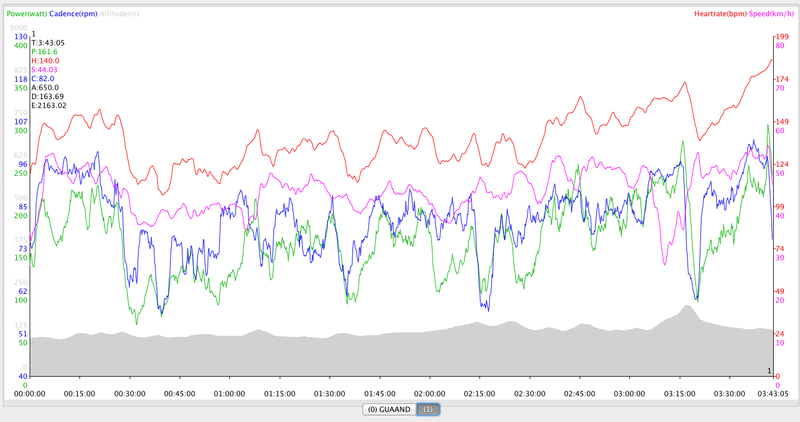 In the last 30km Andrea averaged over 200 watts holding an average speed of 46kph (29mph) with a 163bpm heart rate average. In the final 1km sprint Andrea pushed 577 average watts with a maximum power output over 1,300 watts. 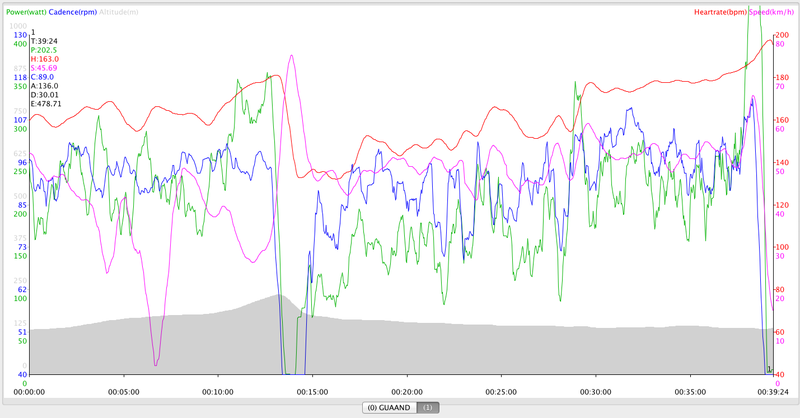 At his max effort his cadence was 116rpm at a speed over 70kph (43mph).